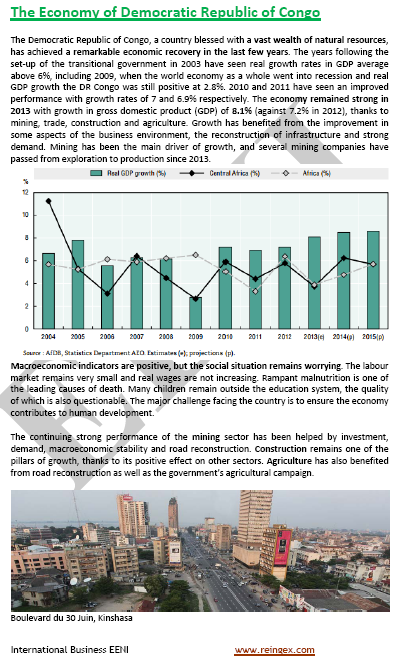 Syllabus of the Program: Central African Economic and Monetary Community (CEMAC). 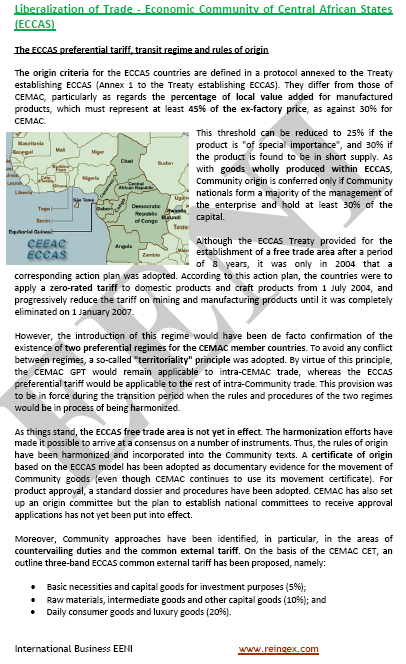 To analyse the role of the institutions related to the CEMAC: BEAC, BDEAC. 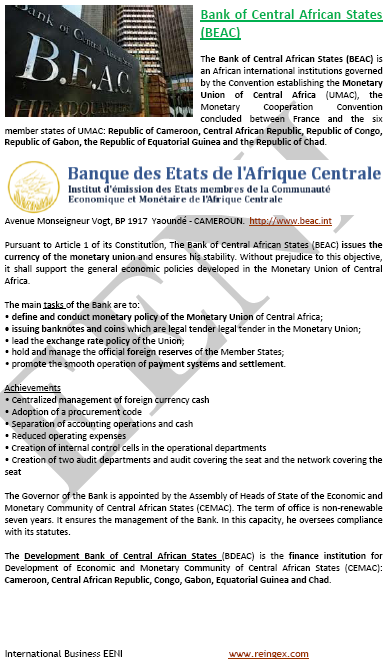 Bank of Central African States (BEAC). 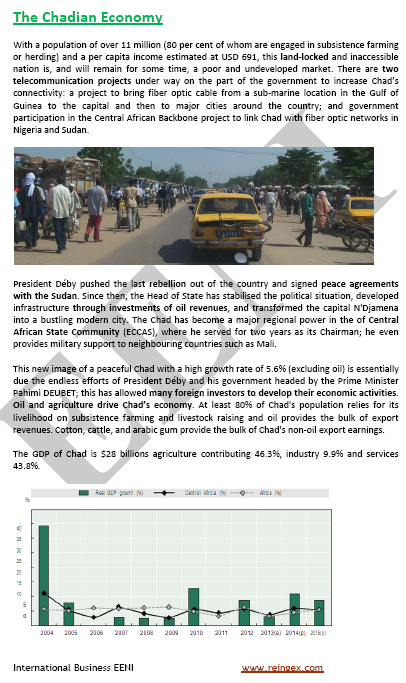 Syllabus of the Program: Economic Community of Central African States (ECCAS). 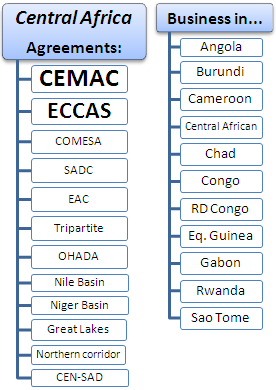 Structure of the Economic Community of Central African States. 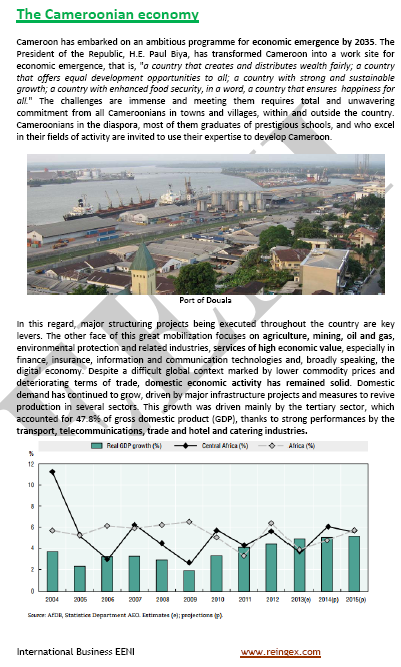 Syllabus of the Program: Economic Community of the Great Lakes Region (CEPGL). 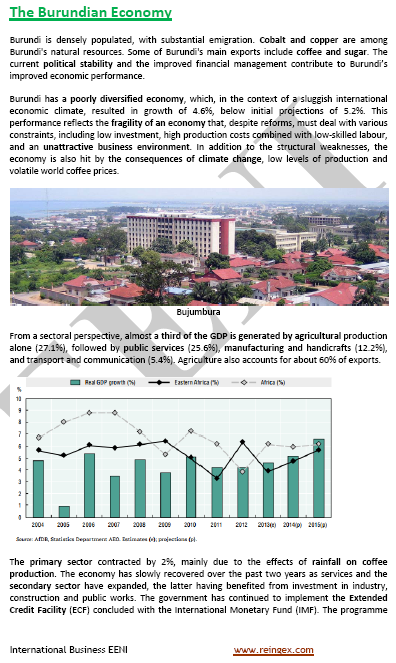 Syllabus of the Program: Doing Business in Cameroon. 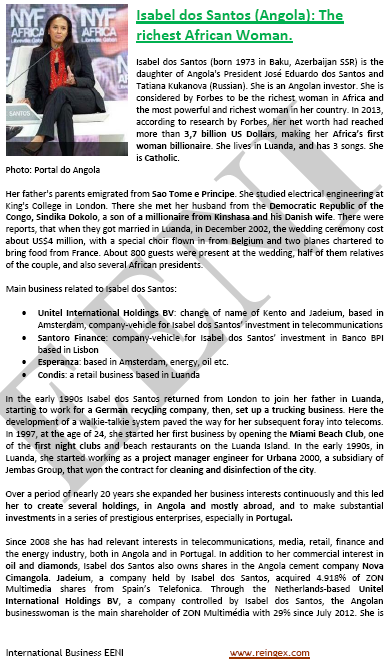 Syllabus of the Program: Doing Business in the Republic of the Congo.